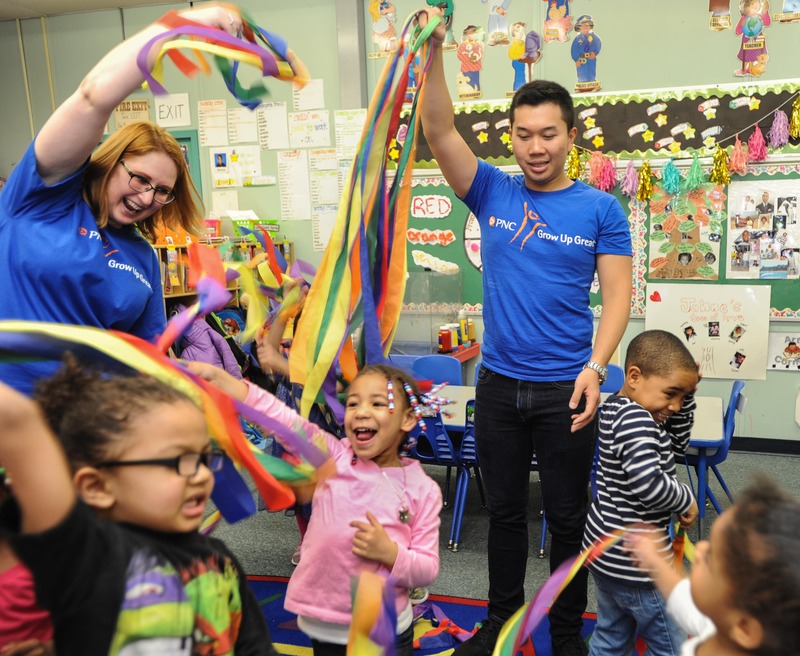 PNC provides employees with up to 40 hours of paid time off annually to volunteer with their signature early childhood education initiative, Grow Up Great®. What makes a company happy? To answer this question, we turned to the experts: PNC Financial Services, one of our top ten 2018 Happiest Companies in America! Caitlin McLaughlin, Executive Vice President, Director of Total Rewards & Talent Acquisition of PNC Financial Services, shared with CareerBliss why PNC is truly dedicated to providing employees with a happy, supportive, and inclusive working environment. McLaughlin also shared some of the company's most unique perks, and why these programs help to create a valuable work-life balance for employees. Read on to get the dish on their bliss! 1. What makes your employees so happy? The company’s culture, strong leadership and commitment to employees’ work-life balance. Employees have expressed a great deal of pride in how PNC shows up in their hometown communities, and there’s a strong understanding that what we do at work every day has a direct connection to supporting our customers. 2. What are the best 3 things about your company’s culture? The people, the opportunities for professional development, and the company’s commitment to strengthening its communities. PNC’s culture is defined by teamwork, diversity and integrity, among other values, and is widely viewed as inclusive, empowering and respectful. 3. What’s one thing people don't know about your company? In addition to a 401(k) retirement savings plan, PNC is one of the few companies still offering employees a pension – and is very invested in the program’s maintenance. As part of our response to the recently announced tax reform package, PNC announced it was providing an extra $1,500 credit to the pension account of each eligible employee (in addition to $1,000 cash payments and a $15 per hour minimum pay rate). 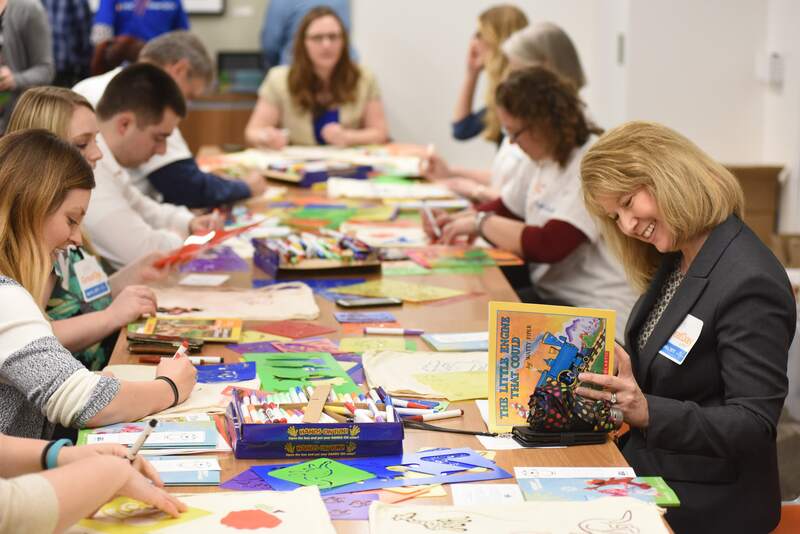 Karen Larrimer, PNC’s Head of Retail Banking and Chief Customer Officer, joins other PNC employees in assembling literacy kits as part of a partnership with United Way of Southwestern Pennsylvania. 4. What's your favorite employee perk? PNC’s Backup and Just in Case Child Care programs, which help ensure that all employees, regardless of location, have access to quality, licensed care providers. PNC’s Backup Child Care Centers are available to all employees who work in Pittsburgh or Philadelphia and to employees travelling to these locations. PNC Just in Case Care is available to all PNC employees and provides center-based and in-home backup care for well and mildly ill children, adults and elderly relatives across the U.S.
Employees in Pittsburgh and Miamisburg have access to onsite well-being centers. These centers provide convenient, affordable and high-quality primary, preventive and urgent care, as well as lab services, annual physicals, well-woman exams and physical therapy. PNC offers MoneyWise, an employee program that includes tools, personal guidance and special discounts and perks to help employees reach their near- and long-term financial goals. 5. Can you tell us a bit about your CEO, and his journey to happiness at work? 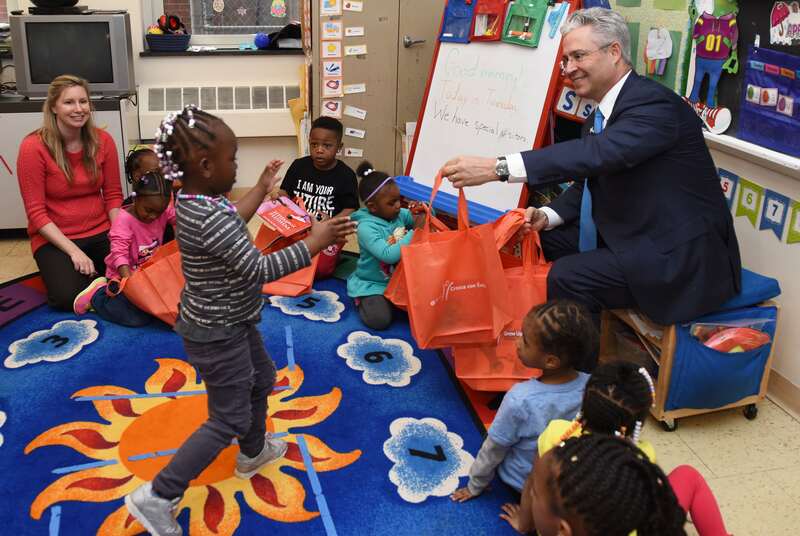 Lou Cestello, Executive Vice President, Head of Regional Markets and Regional President for Pittsburgh, volunteers in a Pittsburgh classroom. CareerBliss cares about your career happiness. That's why we offer a variety of great tools and resources to help you make better-informed career decisions. We believe that if you're happier at work, you'll be happier in life! Check out company reviews, salary information, career advice and, of course, millions of jobs on CareerBliss and choose happy today!